Boot: We stayed up late and spoke in a shorthand that only folks with our experiences have. 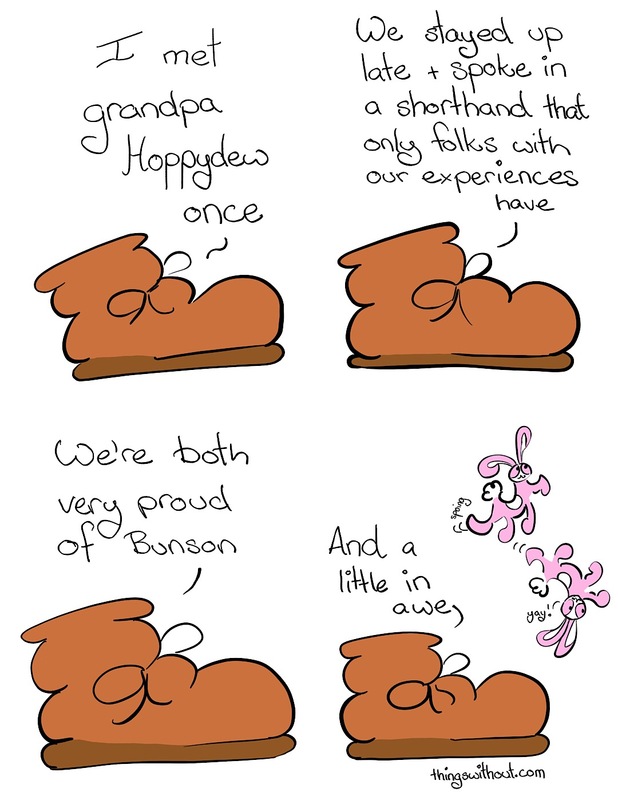 Bunson dances along, spong! Yay! Boot: And a little in awe. Thanks to all my patrons and a special big extra thanks to Kate Webb, Matthew Noe, Sandra M. Odell and Erik Owomoyela.